Two Wisconsin dairy processors announced last week that they would soon begin purchasing only rBST-free milk. At first glance, this looks bad for the farmers who sell their milk to those companies. 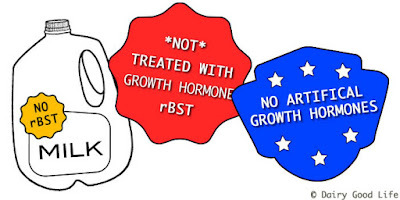 Whether or not a farm chooses to use rBST, it’s important for dairy farmers to have a choice. Only dairy farmers and their management teams can decide whether supplementation is right for their farms. I’ll state here that we do not use rBST on our farm, but not because we oppose the technology. It was a business decision. We were offered a premium from our milk processor for not using rBST and that premium provided more income than we would have earned from selling additional milk. At second glance, the decision made by those Wisconsin dairy processors is bad for all of us. Since one of those plants serves as a balancing plant, it takes milk in from a large number of other milk processors. That means those companies will need to find a different company to buy their extra milk and cream from supplemented cows. The other option is to require their dairy farms to stop supplementing cows. Right now, there is very little wiggle room for milk in the Upper Midwest. Most processing plants are operating at full capacity. It will be extremely difficult for any milk processor purchasing milk from supplemented cows to find new balancing partners. Furthermore, since balancing milk has become such an intricate process, segregating supplemented milk and non-supplemented milk is increasingly difficult. So those processors will switch to purchasing rBST-free milk only. Dairy farmers who choose to supplement their cows then have to decide between staying with their current processor and discontinuing supplementation or finding a new processor who will purchase their milk. There aren’t many processors in the Upper Midwest who are taking on new patrons. So most dairy farmers will, in effect, be forced to discontinue using rBST if they want to keep selling milk. Long story short, it looks to me like the decision made last week by these processors could lead to the entire Upper Midwest becoming rBST-free. It’s a classic example of a domino effect. I started this column by stating that it’s important for dairy farmers to have choices regarding technology. We are losing a choice: a choice to use a technology that has been proven safe for humans and for dairy cows. A technology that, when used, cannot even be detected in cows’ bodies or the food supply. A technology that helps dairy farmers use natural resources responsibly and protect the environment. It’s also important for consumers to have a choice. Milk processors are defending their decision to purchase only rBST-free milk by claiming that customers are demanding rBST-free milk. I believe it’s inaccurate to say that consumers are demanding rBST-free milk when not all consumers have freedom of choice. In my town, the only name-brand milk a shopper can purchase is rBST-free. So any consumer who is brand-loyal is denied a choice. There’s a good chance that the consumers with freedom of choice choose rBST-free milk over milk without rBST-free label. But only because they’ve been mislead. When rBST became available for dairy farmers to use, there was some controversy surrounding its use. I remember the conversations well because rBST hit the market just before I was first crowned a junior dairy princess, so explaining rBST became my first advocacy job. In reality, though, the vast majority of consumers didn’t know what rBST was, nor did they care. They just wanted fresh, cold milk in the dairy cooler when they stopped to get groceries. Absence labels create confusion and fear. Once one company decides to slap an absence label on the front of a package, every other company in the market follows suit. Most consumers don’t look beyond the label to decide for themselves whether the claims make sense. They are only choosing rBST-free milk because they think foods with absence labels are better for their families. Marketing professionals know which words influence consumer behavior. And, in this case, that marketing was irresponsible. Consumers were led to fear a safe technology. 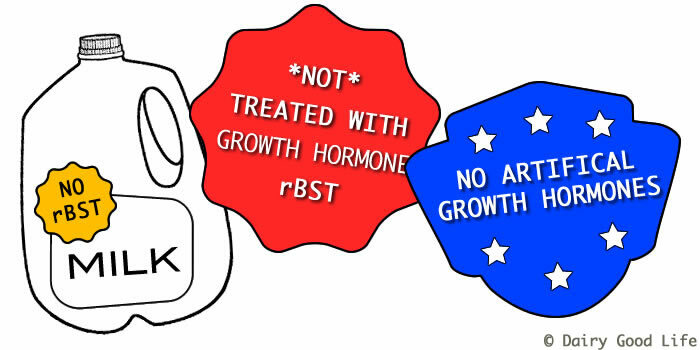 I haven’t written about rBST before this. Which means that, in some ways, the decision by those two Wisconsin dairy processors is as much my fault as anyone else’s, because I didn’t speak up for choice in technology sooner. But, really, how can 43,000 or so dairy farmers help over 300 million consumers know the truth when marketing claims are bombarding them with mistruths? Sadly, it seems like this column will serve no purpose other than a chance for me to vent. But, maybe, this can be lesson to us all to speak up for the technologies we can still choose to use. This post also appears as a column in the May 28 issue of the Dairy Star. 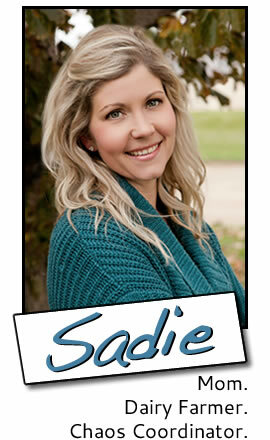 I'm just a dairy farmer with a blog. Temple Grandin is a world-famous animal behavior expert and autism spokesperson. Three weeks ago, I found myself talking with Temple over the phone about dairy cow wellbeing. And, last week, I took her to see a dairy farm owned by a friend of mine in eastern Wisconsin. In the photo above, I look a little awed – and that's how I felt. 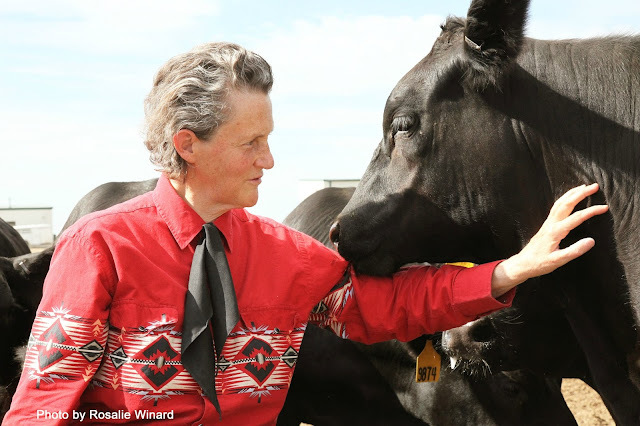 I've known who Temple Grandin is for decades. Temple had no idea who I was before I wrote a blog post about the comments she made regarding dairy farmers in The Washington Post's Wonkblog. The last thing I expected was for Temple to email me about the post. I don't usually write about current issues – or even comment on them in social media. I prefer to share stories about what's happening on my farm. But this time, I couldn't ignore the inaccuracies that were passed off as truths in The Washington Post piece. I cherish working with dairy cows every day. And, to be honest, I felt a little defensive when I wrote that first post. It's hard not to be upset when your life's work is mispresented. In the Wonkblog article, the author used Temple's quotes to support his claim that dairy farmers in the United States are milking cows for all they are worth. Temple was quoted as saying that most of the dairy farms in the United States are wrecking their cows. I was shocked by that statement. So was every other dairy farmer I know. None of us are in the business of wrecking cows. We devote endless hours to providing the best life possible for our cows. It turned out, though, that the writer from The Washington Post didn't publish all of Temple's comments. Temple had shared both praise for dairy farmers and concerns about dairy farming, but only the concerns were published. Temple clarified her position on dairy farms in an official statement. In her email to me, Temple explained what happened. A couple days later we talked over the phone. When I asked Temple about The Washington Post story, it was clear that Temple was just as upset about what was published as I was. But I still felt like Temple wasn't seeing the whole picture when it came to dairy cows. Most of Temple's work is with other food animal species, so she doesn't visit dairy farms as often as she visits beef, hog, and poultry farms. Temple and I talked about current dairy farming practices and I invited her to visit a dairy farm the next time she was in the area. Temple said she was coming to Wisconsin to speak about autism in a couple weeks. My friend Katie at Vir-Clar Farm agreed to give Temple a tour of her dairy. Katie's farm is a lot different than my farm. 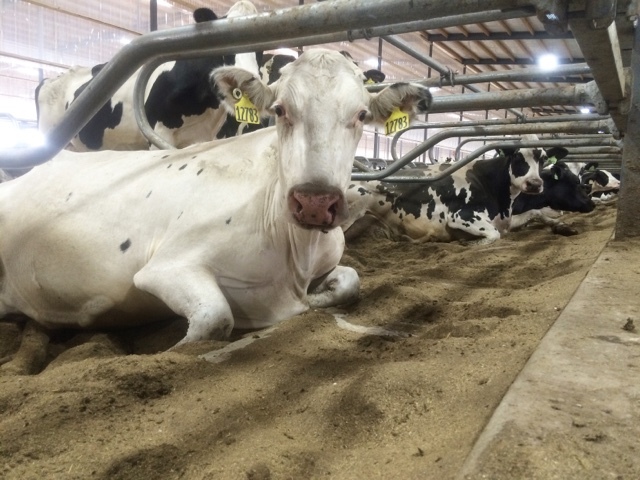 We milk, feed, and house our cows differently, but the outcome is the same: comfortable, healthy cows. I picked Temple up from her hotel early that morning and we drove out to Katie's farm. The tour of the farm was wonderful. So was the discussion about dairy farming. Katie and I listening to Temple during the tour. 1. It's better to reach out a hand than to put up a fist. Temple could have ignored my blog post, or she could have dismissed my opinion. Instead, she emailed and offered to explain. In my post, I asked questions about Temple's intentions without questioning her character. It seems like everything we do – as parents, as eaters, as farmers – is criticized by one group or another. Sadly, it has become normal to attack people's character simply because their statements don't align with ours or they live their lives differently than we do. Social media has facilitated this development: People hurl words at each other that they would never say face-to-face. Consequently, it seems like constructive conversations don't exist anymore; they've been replaced with launching grenades from behind bunkers. By keeping an open mind, Temple and I were both able to learn something from each other. 2. It's OK to agree to disagree. Temple told me a story about protesters outside one of her talks. She said the racket was so loud she finally walked outside and addressed the protesters. "Can we just agree to disagree?" she asked the group. Temple's story was a good reminder that some of us will never agree on some topics. • We need to give animals a good life and a respectful death. • Procedural drift happens on all types of farms. We need to be constantly evaluating our practices and retraining ourselves and our employees. • When it comes to farms, big is not bad. "Badly managed is bad," as Temple says. As is true for every industry, there are dairy farms where there is room for improvement; a farm's performance is not a function of size, it's a function of management. • Our goal is continual improvement in animal care. "No farm is perfect," Temple said. But that doesn't mean we aren't striving for perfection. Temple has been saying for awhile that we humans are pushing animals – not just dairy cows, but a whole list of species that includes both food animals and companion animals – beyond what is biologically possible. I don't know enough about the other species Temple mentioned, but I do know dairy cows. A couple decades ago, there was a period of time in which dairy farmers tried to get dairy cows to produce more milk by feeding more grain and genetically selecting for higher milk production. Those days have long since passed. We recognized the error in this approach and took a different approach. Now we feed dairy cows a diet of mostly forages – a diet that's carefully balanced for fiber sources, amino acids, and micronutrients, among other things. We now use genetic selection to breed cows that are productive, but also healthy and strong. We are not asking our cows to do more than they are capable of. Temple is an animal scientist. She is a researcher and a professor of animal science at Colorado State University. She's been studying animal behavior and wellbeing for longer than I've been alive. Understandably, she has a great appreciation for science and research. When Temple and I first talked about improvements to dairy cow wellbeing, Temple said, "It's hard to measure improvement if we're not measuring." At the end of the farm tour in Wisconsin, Nigel Cook, an animal scientist from the University of Wisconsin – Madison, showed Temple his latest research, which measured dairy cow wellbeing. Nigel's research showed that dairy cows can be both very productive and very healthy. Temple was impressed by the research. "This really shows that improvements are being made," Temple said after reading Nigel's report. Unfortunately, many Americans don't seem to care about science anymore. But science is important. Improvement – in any area of our lives – is accelerated by scientific research. 4. It's best to see for yourself. Temple is a visual learner. She learns by seeing and experiencing things firsthand, which is why she is so good at understanding how animals experience situations. When we were at the farm, Temple pointed out everything she saw – from how healthy the cows looked to how calm the cows were, even when the gates lifted in the parlor. Dairy cows chewing their cud in the milking parlor at Vir-Clar Farm. We live in a world with unprecedented access to information. Some of that information is accurate and some of it is inaccurate. And the information changes constantly; one day a report states one thing, the next day another report claims the opposite. It's hard to know who to trust and what to believe. It's hard to sort through all the details and see the whole picture. 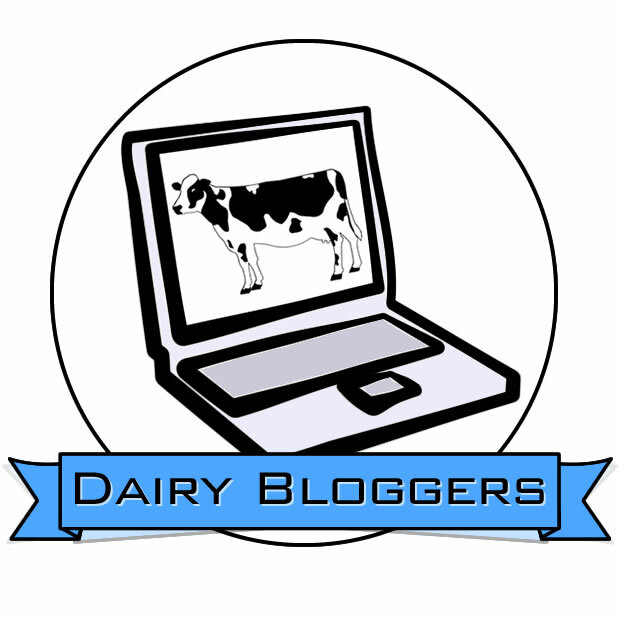 If you have questions about dairy farming, I encourage you to reach out to one of the dairy farmer bloggers on this list. 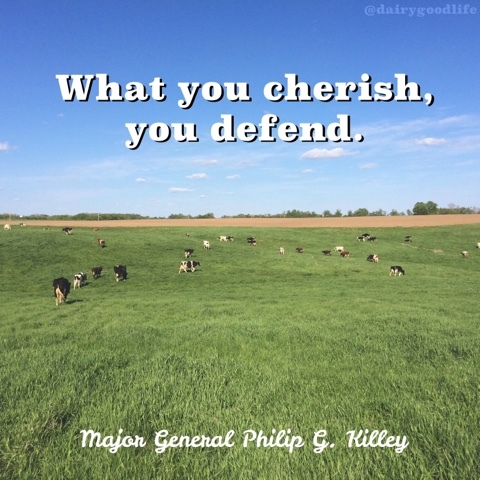 Dairy farmer bloggers are committed to showing others what real dairy farming looks like. An even better way to learn about dairy farming, if you get the chance, is to visit a dairy farm. It really is the best way to see for yourself how well dairy farmers care for their cows. 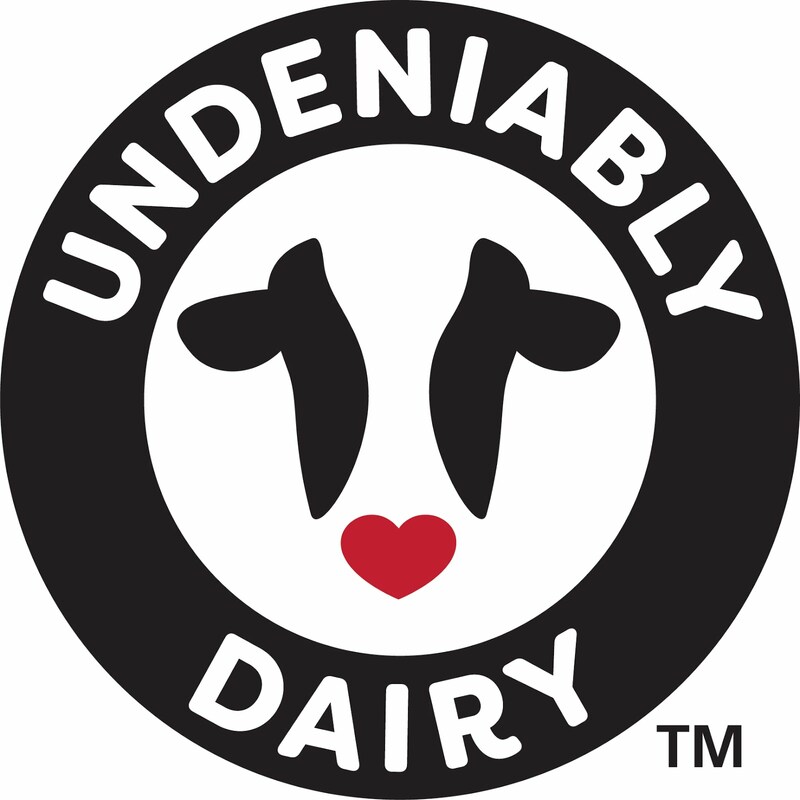 "I saw dairy cows who have a wonderful life today." One of the dairy cows at Vir-Clar Farm, resting in her stall. That’s what Dr. Temple Grandin told an audience of over 700 people during her lecture on autism at Marian University last Friday night in Fond du Lac, Wis. The dairy cows she saw were those at Vir-Clar Farm, which Temple and I toured together on Friday morning. The farm tour was a result of the interview I did with Temple two weeks ago. Temple said she was very interested in visiting a dairy farm while she was in Fond du Lac. I asked Katie Grinstead at Vir-Clar Farm if we could visit the dairy farm she owns with her parents (Gary and Rose Boyke) and brother (JR Boyke); she agreed that it would be a great opportunity. My hope was that the visit would allow us to continue our conversation about dairy cow wellbeing. I also wanted to demonstrate that dairy farmers today are managing cows for higher production – and enabling them to reach their full potential – not "pushing" them beyond what is biologically possible. Katie led the tour, with Gary and JR joining us at the beginning. I also invited Nigel Cook, a professor of food animal production medicine at the University of Wisconsin–Madison, to be part of the visit. Nigel has done extensive research in the areas of dairy cow comfort and lameness and does a lot of work with facility design on dairy farms. It's easy to end up exhausted and frustrated when farm chores keep us outside until well after dark. But sometimes these late nights lead to memorable moments. Tonight after chores, I wasn't nearly as tired as usual thanks to an early Mother's Day gift: a two-hour nap with no interruptions. So as I headed to the house, I kept going past our front steps and went out to the road. At the time, I had no idea why I felt an urge to go for a walk. I realize now that perhaps I was being led. Photo by Bryan Hansel. Used with permission. I crossed the paved county road and strolled down the gravel road across from our driveway. I walked for a couple hundred yards before my common sense caught up with me. It was late; Glen had no idea that I was going for a walk; and all I had with me was my cell phone. I turned around to head back. When I did, I was stopped by what I saw. 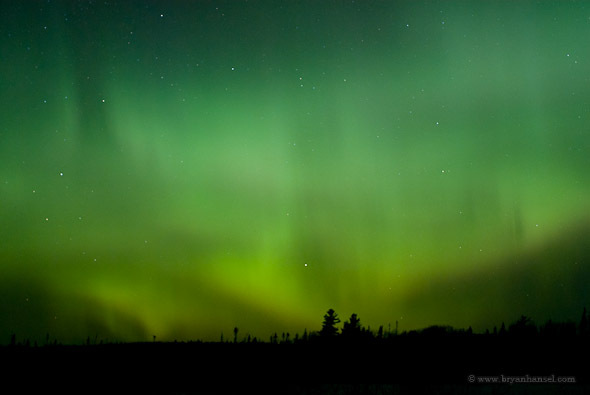 Flickering across the northern sky were the bright green lights of the aurora borealis. Growing up in northern Minnesota, the northern lights were a fairly common sight for country kids still outside after dark. When I was little, my dad would come get my sisters and me from the house so we could watch the spectacular dancing lights. Science explains the northern lights as the result of collisions between atmospheric particles. But there are lots of legends about why they exist, too. My favorite legend is that the northern lights are the spirits of loved ones who have gone before us, greeting us from the afterworld. This was the first time I'd seen the northern lights here in Stearns County, possibly because we have a bright yard light or possibly because I haven't been paying attention. I stood there in the silence of the night, watching the band of lights that stretched across the dark sky, as a memory washed over me. The last time I had watched the northern lights was a late night in May, over ten years ago. P.S. I never even thought to take a picture that night. The photo above was captured by Bryan Hansel, who kindly allowed me to use it. Bryan is a northern Minnesota photographer who has even more amazing photos of the aurora borealis on his website: BryanHansel.com. He also offers a series of highly popular photography workshops and courses. The last thing I expected when I wrote my blog post about Temple Grandin and her comments in The Washington Post was to get an email from Temple Grandin herself. But that’s exactly what happened. In her email, Temple said that Roberto Ferdman, The Washington Post reporter, left her positive comments about the dairy industry out of his article. Included with the message to me were carbon copies of the email conversation she had with Ferdman, in which she chastised Ferdman for not being objective. Temple also gave me her cellphone number, so I emailed her back and asked if she would be willing to answer a few of my questions. 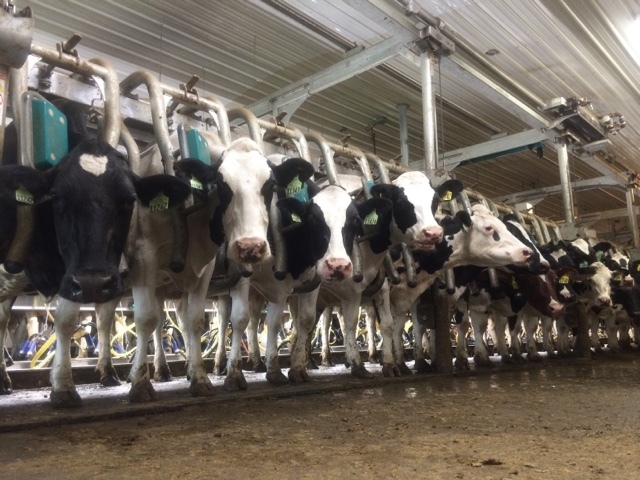 Last Friday, what started as an official, recorded interview turned into an hour-long conversation about dairy farms and dairy cow well-being. Many of Temple’s comments while we talked were echoes of those she shared in a statement released last Thursday. Read the rest of this post in the HD Notebook.